We are a full-service, family operated quiltshop, offering easy and unique patterns, along with a variety of fabrics that represent the styles of our individual family members. 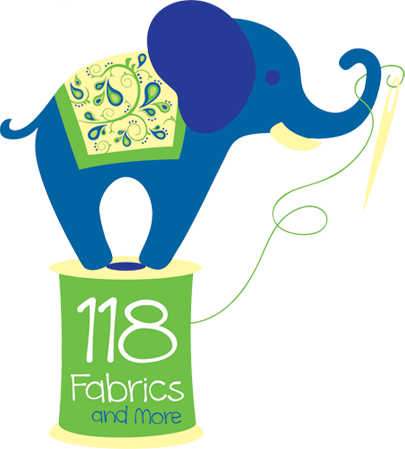 118 Fabrics & More, located on Route 118 in Sweet Valley, PA, opened in September 2005. Because we all have different tastes around here, our inventory offers a little something for everyone, including bright colors, trendy prints, and loads of gorgeous batiks! Our store is well known for it’s organization and perfectly coordinated products, making browsing and shopping a more pleasant and convenient experience. With a friendly atmosphere and helpful staff, customers are treated to prompt, attentive care in a no-pressure, easy going atmosphere. We love sharing our knowledge of the newest quilt industry tools and gadgets with our customers, as well as providing fun and educational classes that will enhance your skills and confidence, while inspiring creativity. We support our local businesses and non-profit organizations and hope you’ll enjoy the endless possibilities our community offers for sight seeing, shopping and dining. And don’t forget to pay us a visit at 118 Fabrics & More whenever you’re in the Sweet Valley area!